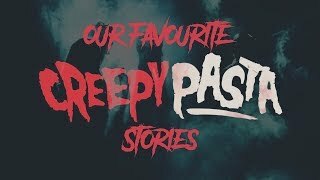 If you want something a little more exciting than a tiny bite of cheap chocolate behind each of the doors of your advent calendar this Christmas, then the options are endless. Gone are the days when all you could get was a miniature version of your favourite chocolate bar behind each door, now you can get everything from luxury beauty products, to luxury confectionary and even gin. If you are looking for something a little more unique or luxurious, then here's the ten best advent calendars from affordable but different, through to luxury, as well as some unique and different options. 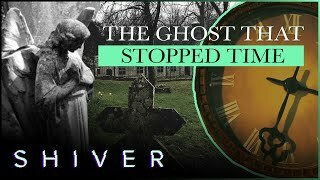 Below are ten advent calendars that are a perfect gift for a loved one, or the perfect treat for yourself this Christmas. 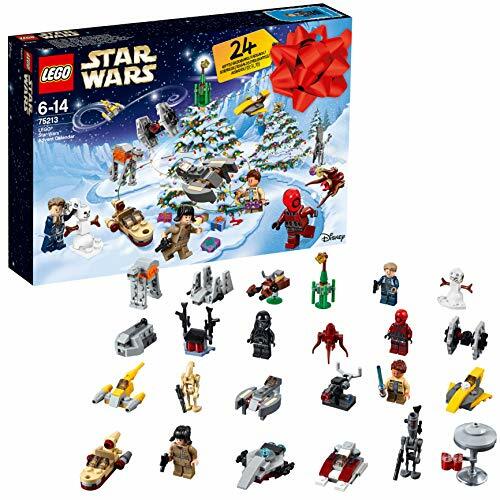 Admittedly this might not be for every adult, but there are plenty of big kids who'd love to go on a galactic journey of festive fun with this 2018 LEGO Star Wars Advent Calendar. Behind the doors you'll discover a star-studded collection of LEGO mini-figures, starships, vehicles and more. When you've collected all the gifts, unfold the play mat and create your own action-packed desert and ice-planet scenes. 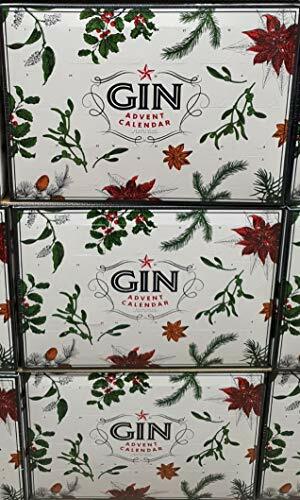 An advent calendar for gin lovers. The calendar has a different 5cl craft gin bottle behind each door including many different brands and flavours. The ultimate Decleor gift this Christmas, it contains £258 worth of Decleor products in this fabulously designed advent calendar. Behind the doors you'll find moisturising body milk, Hydra Floral Everfresh Rich Cream, Aromessence Lavandula Iris, Hydra Floral White Sleeping Mask and loads more to see you through December. 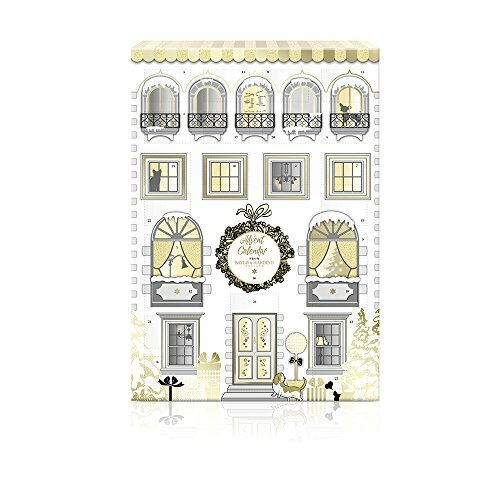 Baylis & Harding's launch their debut advent calendar for Christmas 2018. With a fun and festive design, it contains assorted fragrance treats including bath fizzers, soaps, shower cremes and tealights. Baylis & Harding's most popular Signature scents include sweet mandarin and grapefruit, jojoba, silk and almond oil, midnight fig and pomegranate and Prosecco fizz. 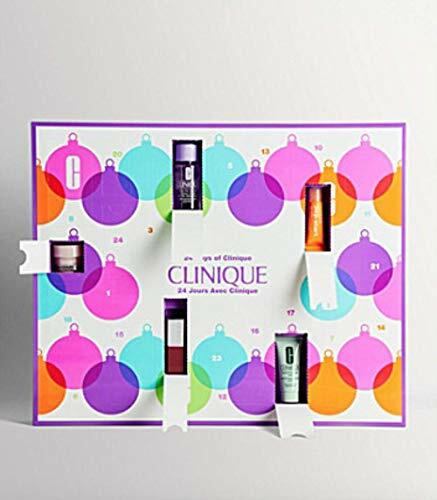 Clinique's 2018 calendar includes liquid facial soap, rinse-off foaming cleanser and Clinique Smart Night Custom-Repair Moisturiser, as well as lots of other treats behind its doors, but we won't spoil the surprise for you here. Crisp lovers everywhere, prepare to be amazed by Pringles' 12 days advent calendar. 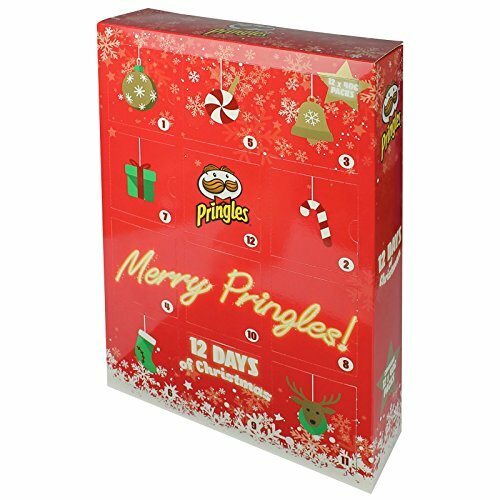 There's a tube of Pringles behind every door on this unique advent calendar, perfect for those who prefer savoury over sweet. With four favourite flavours behind each door, the countdown to Christmas has never been this exciting. The calendar includes original, sour cream and onion, salt and vinegar, and Texas BBQ sauce. 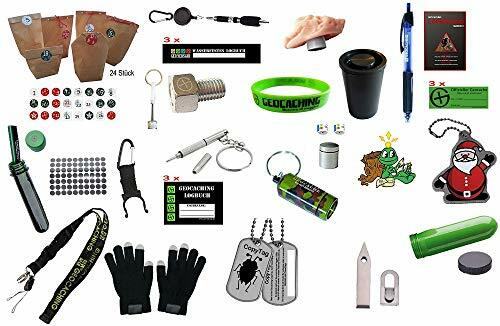 This advent calendar kit contains 24 geocaching parts and 24 bags and number stickers to build your own unique advent calendar. As well as the 24 geocaching tools, you'll also get a free ice scraper and chocolate Father Christmas. It's the perfect calendar choice for the outdoor type. 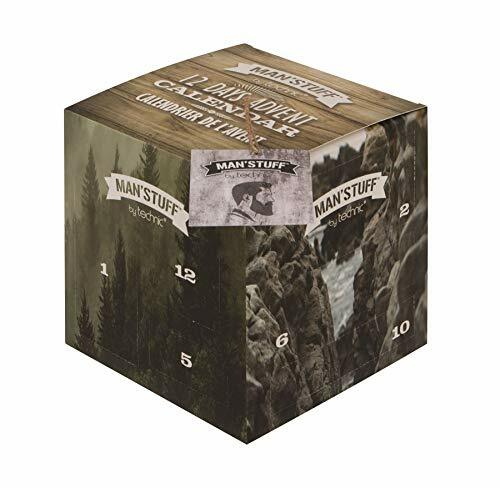 What better way to count down to Christmas than with the Man'Stuff 12 day advent calendar cube. Hidden behind the 12 doors of this calendar for men, you'll find the likes of shower gel, hair and body wash, charcoal face wash, bath salts, bath fizzer, soap, lip balm, nail scissors and more. Open a door each day to reveal a beauty necessity in the countdown to Christmas in the iconic Cath Kidston townhouse Advent Calendar. A selection of 24 mini beauty products including hand creams, soap, body scrubs, cuticle cream, lip balms and body lotions, for full body cleansing and hydrating. All fragrances will be a selection from Blossom Birds, Posy Bunch, Wild Rose & Quince and a bespoke festive fragrance of traditional Christmas filled with pine needles, red berries, candied sugar and woods. The World's first gourmet Marshmallow Advent Calendar returns - and it's even better than last year! Behind each door, you'll find a delicious piece of handmade gourmet marshmallow and there is even a finest Belgian hot chocolate spoon with Vanilla Bean marshmallow behind the final door on Christmas Day. That's 25 deliciously gooey pieces of heaven to savour this Christmas and a great motivator for getting out of bed first on a Winter's morning! 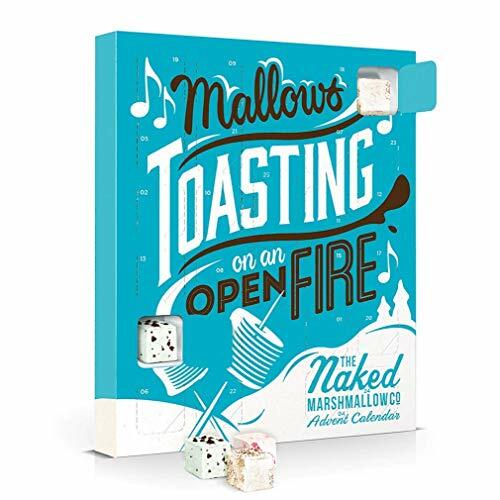 The gourmet Marshmallow Advent Calendar features six sumptuous alternating flavours which include: Salted Caramel, Candy Floss, Strawberry Cream, Gingerbread, Mint Choc Chip & S'mores! The milk chocolate spoon behind door 25 will make a delicious real hot chocolate drink and includes a classic Vanilla Bean marshmallow to be dropped on top, dunked, or just scoffed - we won't judge! 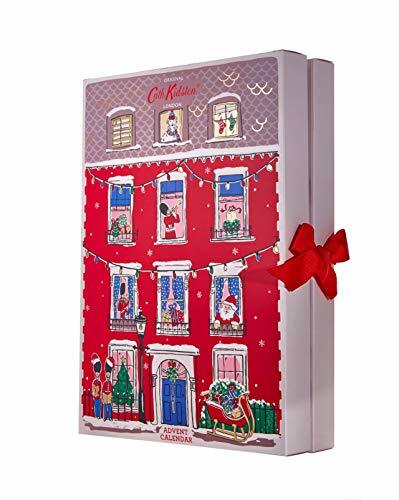 This was our favourite advent calendar of 2017, it's one of the cheaper luxury calendars on our list but includes one of Yankee Candle's premium scented candles behind each door. The selection includes tea lights from the Christmas collection, each provides around 4-6 hours burn time, making it great value too. The calendar also includes one Christmas Eve votive sampler which burns for up to 15 hours. A low cost advent calendar with a sweet treat which is a bit more interesting than your usual mouthful of chocolate. As you'd expect from Haribo, behind each door you'll find a great variety of fruit and cola flavour chewy sweets, marshmallows, liquorices and gums. An affordable calendar which hides a treat from Lindt behind each door to make the countdown to Christmas taste that little bit better. Behind the windows you'll find a full size 100g chocolate novelty each day, including chocolate bears, gold reindeers, Lindor mini truffles, snowballs, and Christmas Napolitans. One of the more expensive on our list, but what better way to get into the spirit of Christmas with a fine wine each day. The calendar includes 24 187ml bottle of top rated wines. A best seller from 2017. The huge A3 calendar contains a 7g foil bag of Snaffling Pig's gourmet porky treats. There are six flavours to discover in the run up to the big day, including salt and vinegar, low and slow BBQ, maple, black pepper and sea salt, perfectly salted and the exclusive Christmas flavour, pigs In blankets. Do Children In The UK Pray To Santa Claus?